So the game that I decided to make is an adventure title with RPG elements. 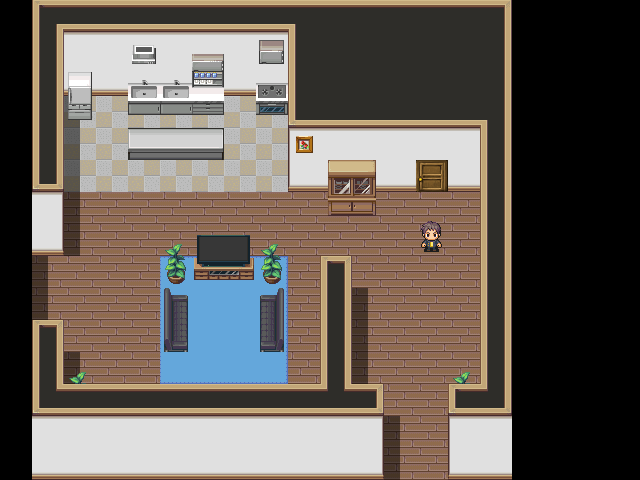 It is made in RPG Maker VX Ace. a sleep tracking device that comes with a virtual intelligence system embedded into it. that there might be a third party exploiting the VI's bugs in order to control what the character sees in his dreams. Why can't the main character sleep and who manipulating his dreams? You'll have to play the game. So I've only worked on it for 2 or 3 days and I think I bit more than I can chew. I'm going to keep on working and see how far I get. I'm hoping to release a demo that covers the introduction of the game + the first dream. Sounds cool. And trippy. Good luck! I'm pretty sure I'm not going to meet the deadline, but I will keep on working on this game for the rest of the month!